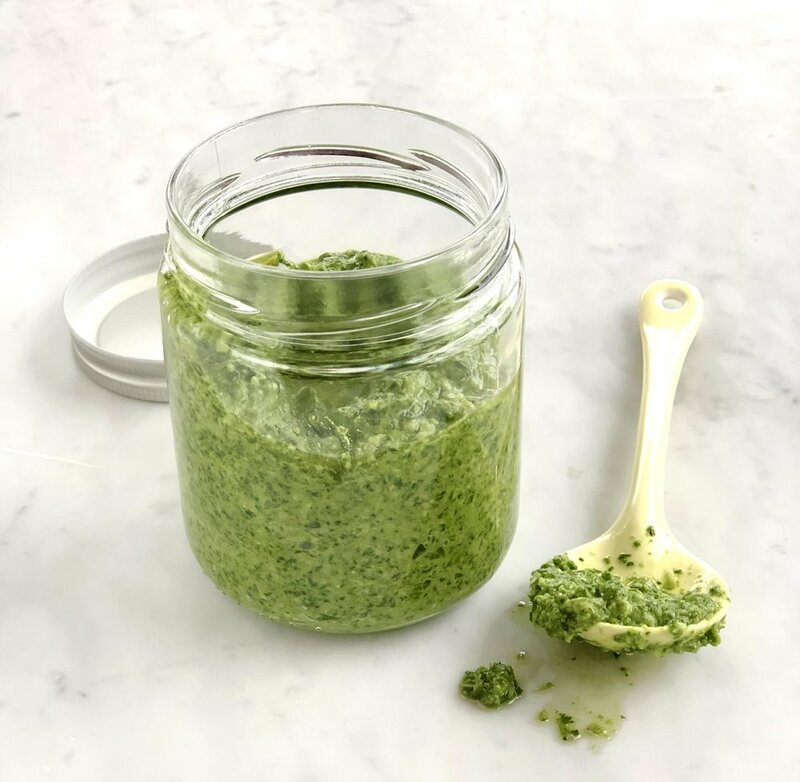 Pesto is usually made with basil, garlic, pine nuts, olive oil and parmigiano, however this recipe breaks tradition yet uses the same method to combine fresh leaves to create a zesty sauce for summer meals. By using nuts like cashews, or macadamias, you get a lovely creaminess whilst being dairy free. In the bowl of the food processor add the spinach leaves, parsley, basil, salt nuts, garlic and lemon juice. Blend until finely chopped. With the motor still running, add the oil, continue blending until a paste forms. Stir sauce through freshly cooked al dente pasta. Stir sauce through slow pan cooked sliced zucchini. Thin the sauce with additional lemon juice and olive oil to make a dressing for green salads or potato salads. Spread over grilled sour dough bread and top with sliced tomato, or for breakfast top with a poached egg. Serve with grilled meats and roasted vegetables.